Designing on the fly to stand out in a crowded Presidential field. The challenge: In the Spring of 2007, it wasn't clear which of the Democrats in a crowded field would engage with grassroots online activists in the way that Howard Dean had proven was possible during the last presidential cycle. A scrappy team of former "Deaniacs" working to boost Connecticut Senator Chris Dodd's run for the presidential nomination needed solid design and art direction that could earn the campaign traction in a 24-hour blog and cable news cycle. The solutions: Our small New Media team consistently introduced new online tactics and forced the big teams at Barack Obama and Hillary Clinton's campaigns—as well as the cable news networks—to take notice. As art director and web designer for this team, I developed a distinctive, clean look for the campaign's website and social media accounts. When the campaign dreamed up rapid response interactive concepts, I delivered graphics and code on the fly. 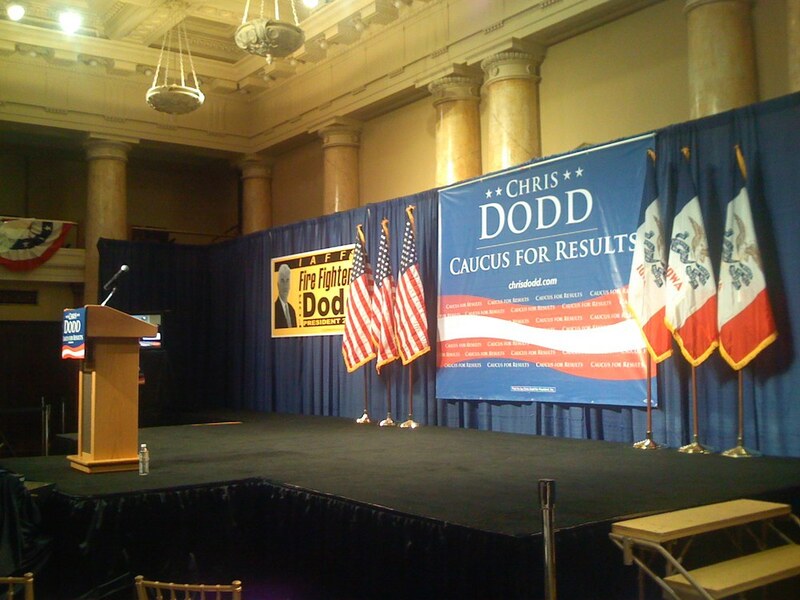 As the Iowa caucuses approached, my design work expanded to include bus wrappers, bumper stickers, t-shirts, stage backdrops, and more.